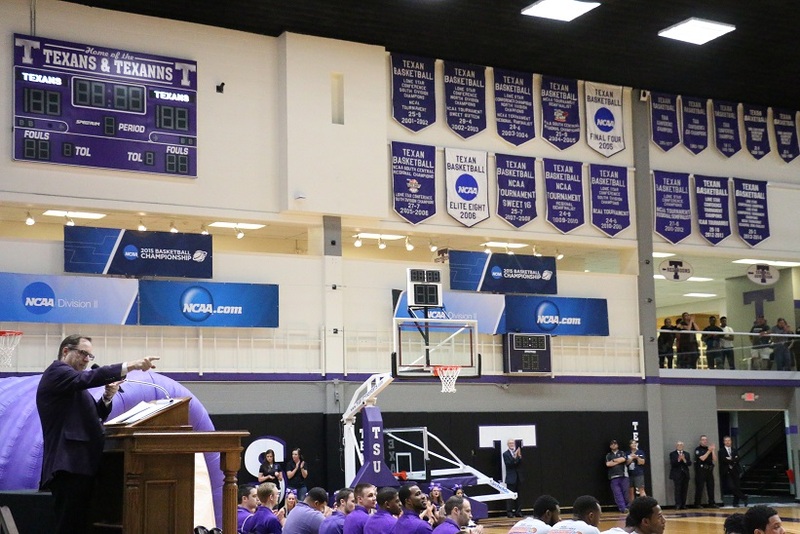 The book on the Tarleton Texans’ historic season was officially closed after Monday evening’s Final Four celebration in Wisdom Gym. The season officially ended on Thursday in heartbreaking fashion, when Tarleton State fell short 72-68 to Indiana University (Pa.) in the NCAA Division II Final Four at the Ford Center in Evansville, IN. 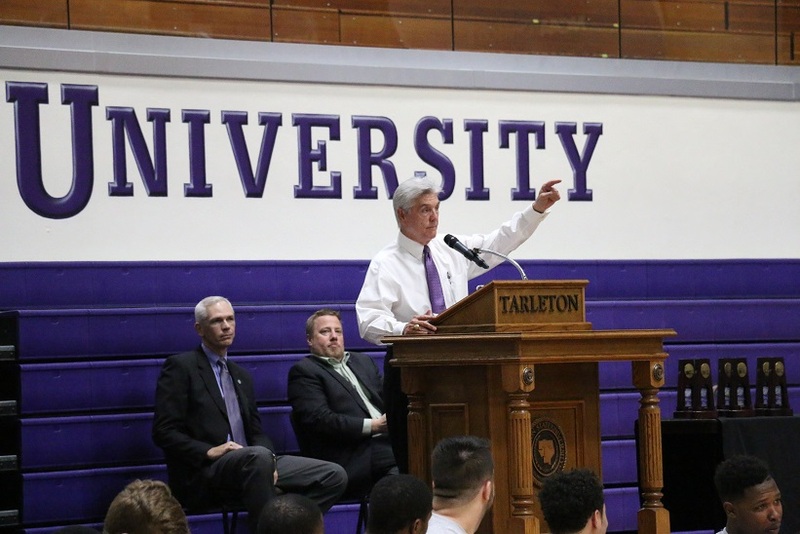 United States Congressman Roger Williams, Tarleton State President Dr. F. Dominic Dottavio and Stephenville Mayor Kenny Weldon all took turns behind the podium and praised the team, the university and the fan base. 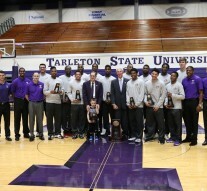 They all had tremendous things to say about the 2014-15 season in which the Texans set a new senior college record with 31 wins, won their first ever outright regular season Lone Star Conference title, won their third NCAA South Central Regional in front of their home crowd, advanced to the NCAA D-II Elite Eight for the third time and NCAA D-II Final Four for the second, remained ranked in the top-15 in the national polls for the entire season, had a 20-1 record at Wisdom Gym and a defense ranked No. 3 in the nation. 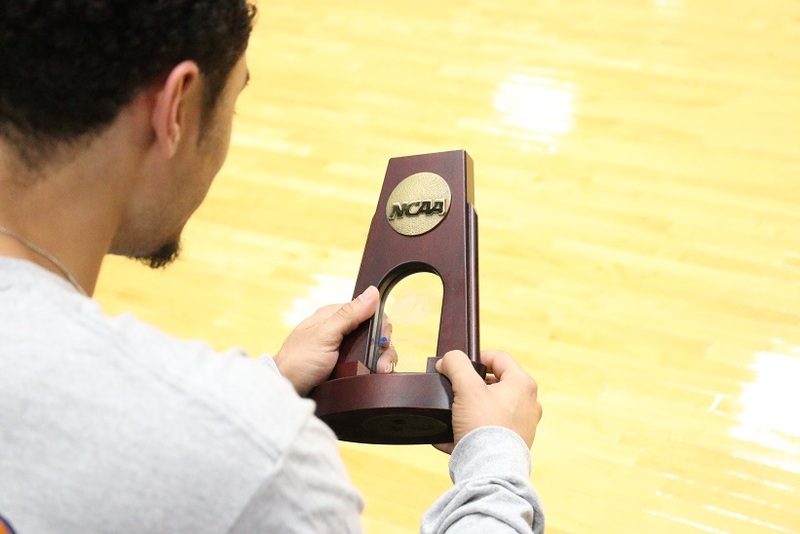 Each player on the team received an individual South Central Regional champion trophy, but the biggest recognitions came from Dottavio and Weldon. 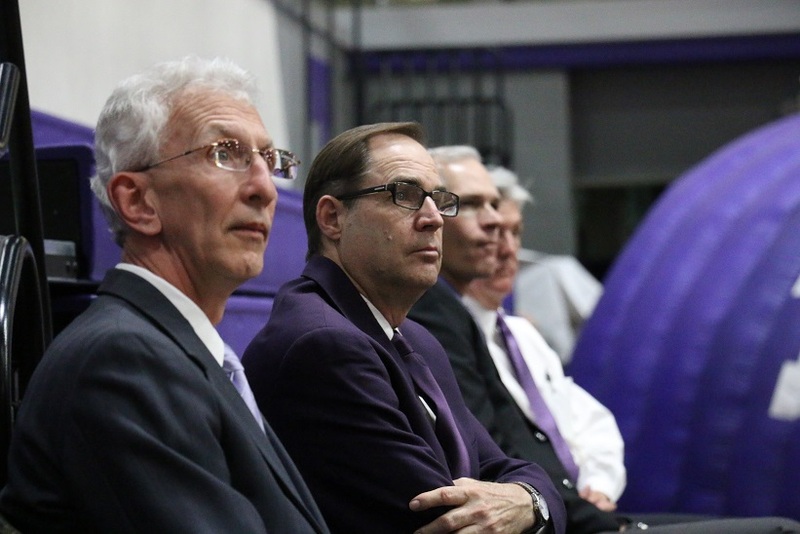 Weldon had two surprises for Reisman and his team as well. 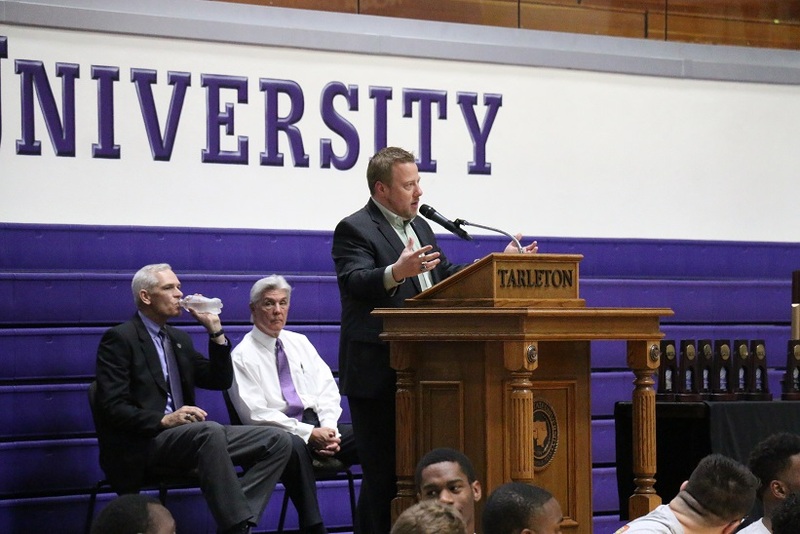 First, he declared March 30, 2015 to be known as Tarleton Texan men’s basketball day throughout the city of Stephenville, but he was not done there. 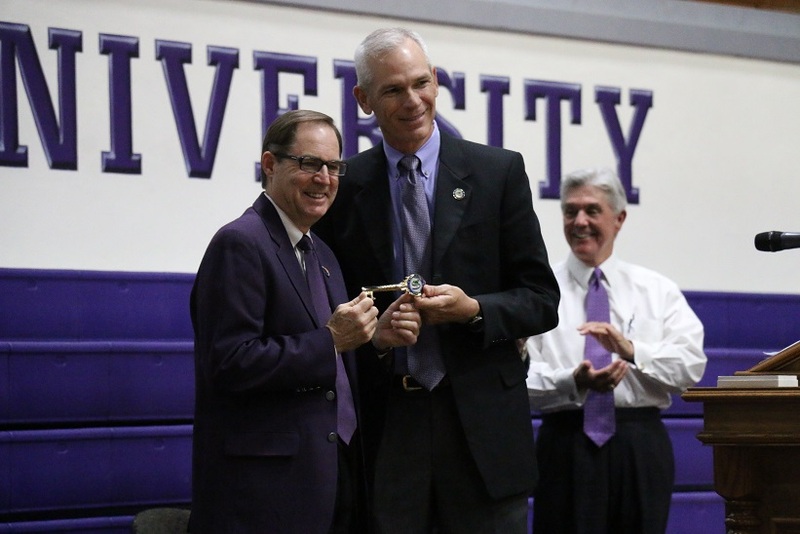 After telling of medieval cities having gates and only the most trusted members of the cities allowed to have keys to those gates, Weldon saw it fit to recognize the Texan head coach. This season, the Texans had a 12- and 14-game winning streak, never allowed more than 78 points in a game, and were led in scoring by seven different players. Out of 239 teams in the country, they were in the top-four. 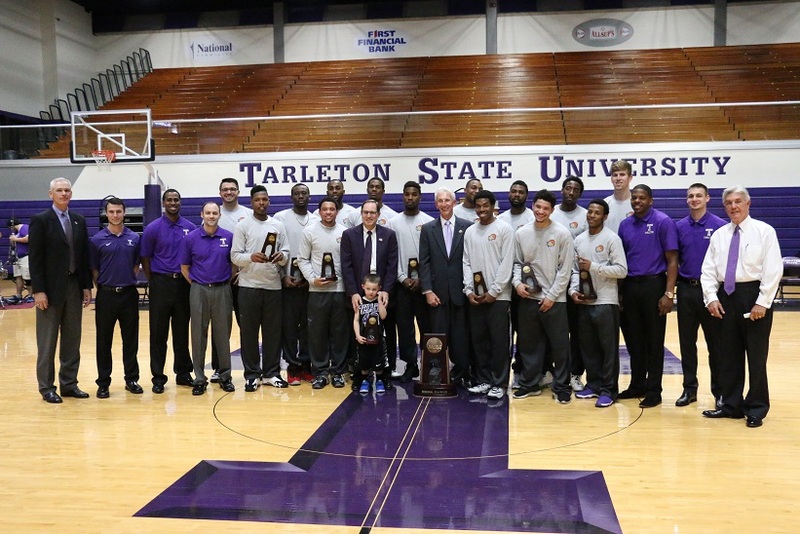 That means that 98.3 percent of men’s basketball teams competing in Division II finished below the 2014-15 Tarleton State Texans. They came closer than any other team to winning a national title in the program’s history, with the previous suffering a 5-point loss on March 24, 2005. 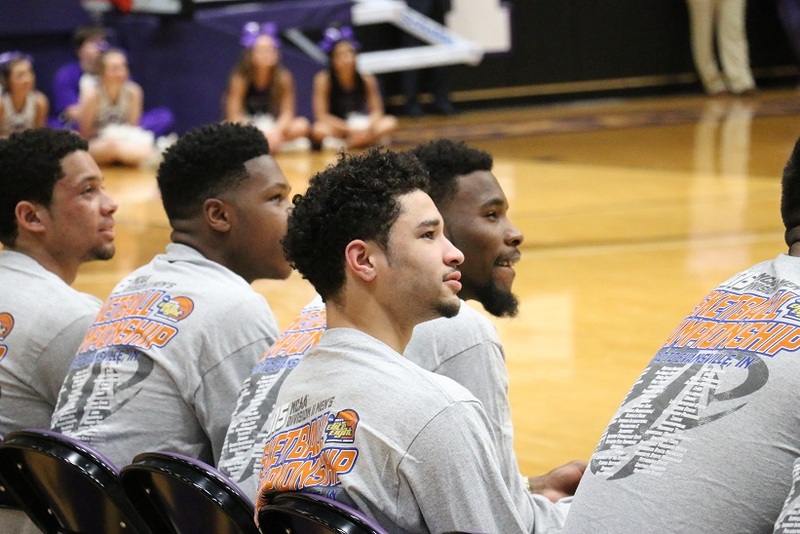 The Texans will enter the 2015-16 campaign as the team to beat in the LSC and South Central Region, and are returning 10 players from this year’s Final Four squad. 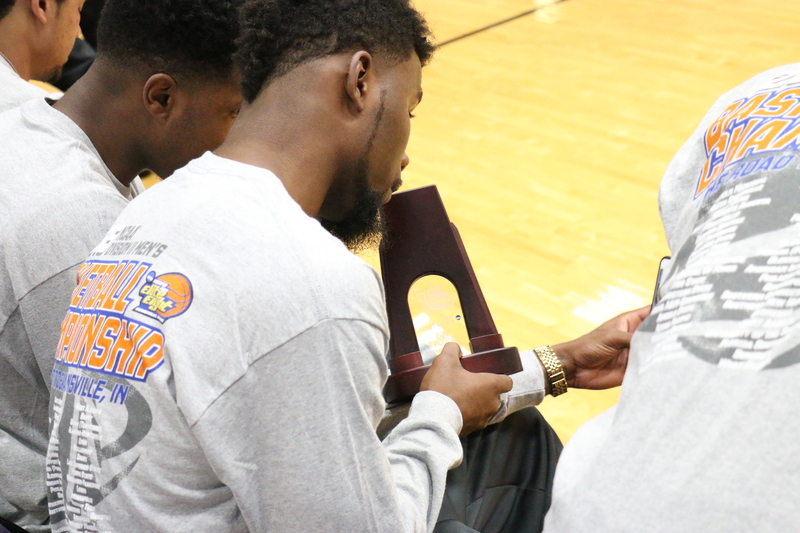 They will however, be without the services of two starters – leading scorer Mo Lee and high-flying “Dark Horse Dunker” Davene Carter – as well as lane presence and team leader Damion Clemons, and point guard Mercedes Lane. 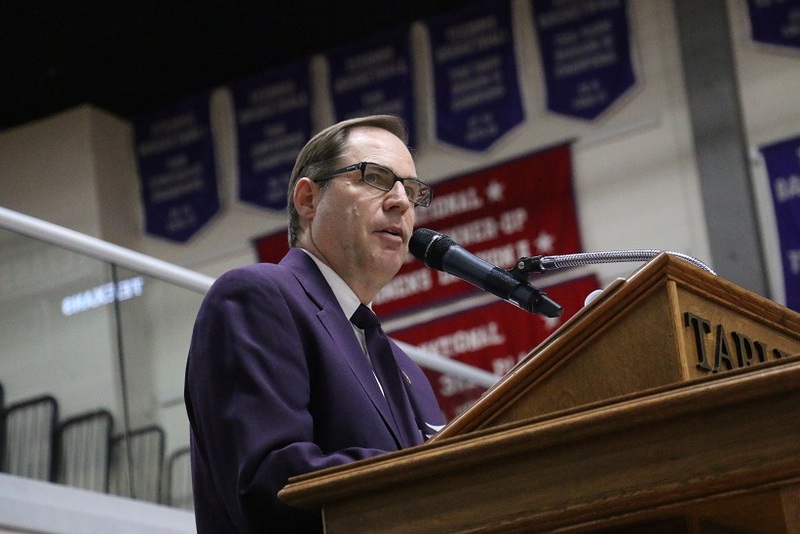 Michael Hardge, Malcolm Hamilton, EJ Reed, and Jakob Damstra will assume the roles as senior leaders next season, but will not be without help. Hardge and Reed will join freshman Nosa Ebomwonyi as the three returning starters, with Hamilton and Riddick coming back as two huge players off the bench. Ebomwonyi led the team in made three pointers, Hardge in led in assist, steals and minutes, and Hamilton and Reed will be the team’s returning rebound leaders. The 2014-15 campaign truly was one for the ages, and it will not be forgotten anytime soon. My son got me started keeping up with the Texan basketball team and after viewing just one game I was hooked.I wasn’t able to attend any of the games but I did keep up on the live telecast on my computer.This team had all the things that I grew up with talent,desire and team chemistry.Their season was our season and my congrats to all team members,coaches and those vocal fans at Wisdom.Greatness will live with this team again next year.